Shooting with a bow and arrow is a precision sport that has been part of the Olympic Games in 1900 for the first time. It’s a classy and highly regarded form of precision shooting that requires a steady hand and good sight. 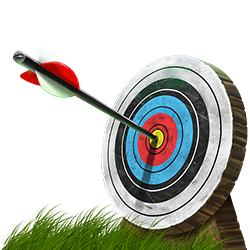 With our HTML5 game Archery World Tour you are able to experience the thrill and fun of archery on a journey along different shooting ranges across the land and master new challenges every time. On your way to become a master archer you have to take a few things into consideration, though. First of all there is the distance of the targets. The farther away it is, the more you have to compensate for the wind. And wind is your hardest enemy while trying to make the perfect shot and hit right in the 10.The direction and strength of the wind is shown on screen at all times. The stronger it blows from the side the more you will have to aim your bow in the opposite direction to hit your target. 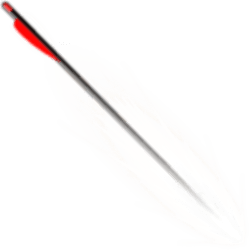 Furthermore the wind can also push your arrow down or give it an uplift, depending on the direction it comes from. You have to compensate for that as well. If you don’t feel like playing the Archery World Tour you can just take on the endless game and try to get as far as you can by achieving each levels specific goal. If you fail, you’re out. 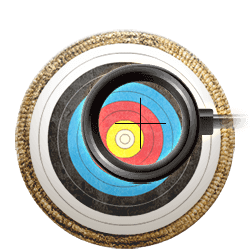 In the HTML5 game world Archery World Tour is a unique experience with exceptional audiovisual quality and physics-based gameplay that will keep you entertained for hours and hours. 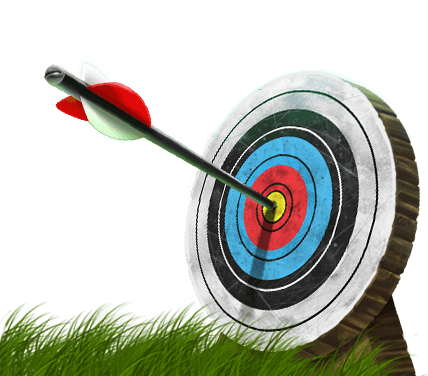 So take your bow and arrow and prove your aiming skills to become the HTML5 Archery Master. Archery World Tour - Find Archery World Tour in our vast HTML5 games catalogue. Only the best and newest HTML5 games for all audiences. Guaranteed success with Famobi.